Sick and tired of the white pesky spaces OpenCart patches to your image? 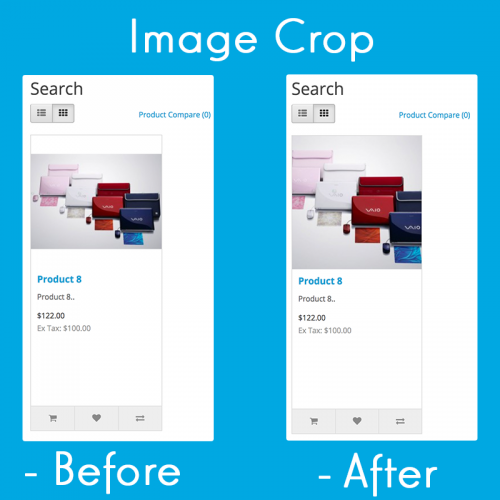 Want to crop your image? Then this is the right extension for you. This extension changes the default resizing function of OpenCart. Instead of resizing and adding white borders to your image, this extension brings your image to the right size and crops it to the proportion you defined.